Marunouchi Building (Maru Biru) in Marunouchi (丸の内) in Tokyo, as seen from Tokyo Station. 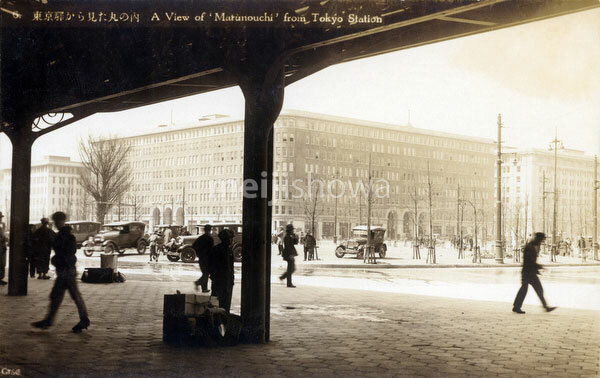 The building was designed by Kotaro Sakurai and opened in 1923, just before the earthquake devastated the city. It was Japan’s very first office building, and with 371 offices the largest office building in Asia. It was replaced by a 37-story building in 2002. The location is now among the most expensive real estate in Japan.